Hi - I'm Stuart Abrams-Humphries. I'm posting general ramblings on Linux (Centos/RHEL/Debian/Ubuntu), Devops, Ansible, Continuous Integration and Delivery, Jenkins, Git, Python, Performance and time sync - generally tech stuff that interest me and I hope may be useful to others. Currently working on creating a large repo - copied a lot of the packages to a VM in my home test lab - on extracting 15Gb of packages I noticed I was running short on space (had about 20Gb free but wanted to ensure extract didnt fail). running the old du -hs * from / I noticed /var had a lot of storage being used. cool - lots of space cleared on my VM! tcp is essentially the transport layer - responsible for splitting up the data and posting it on the physical link - but like a clerk in an office getting lots of things ready to deliver to a customer - splitting it into manageable parcels - ip is like the postman - he picks up the parcels and routes them to their destination. A TCP packet runs ontop of an IP packet. 1. 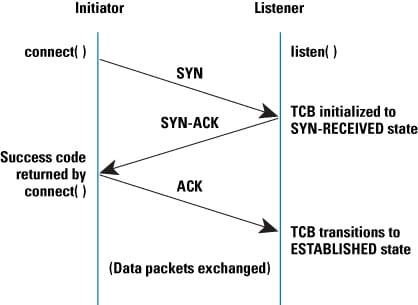 A tcp connection is established via a three way handshake - client sends a SYN (synchronize) packet to server with a random sequence number. 3. client then sends an ACK number to server, which aknowledges the servers sequence number. so i have a server install of a beta release of bionic beaver - ubuntu 18.04 - I want to connect this to wifi as I'm not near my cobbler server and cant connect to it via ethernet at the moment. - havent had any previous connections so no luck there. Device 'wlp2s0' successfully activated with 'ead1b11c-3d70-4ba8-9ca9-48389235c7db'. Forgetting about Puppet for a moment - if we are to conceptually describe how our servers are built as part of a large distributed group then we would describe them initially in terms of business function - e.g. this server stores data of financial transactions, it also needs to allow certain people to login to it, it needs to be monitored etc etc - whilst another server might be described at a high level as running a web server, needs the ability to allow certain people to login etc. The high level description of what a server does we call a role (e.g. 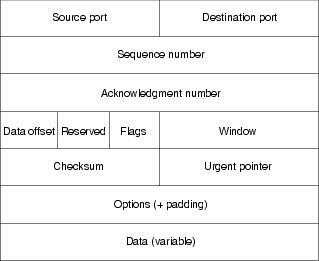 data store role and web server role in the example above). The technical sub-components of a role we call a profile (e.g. install postgres database module, install ldap client module, install nginx module). we can define multiple profiles that contain the technical building blocks which we can put together for a specific role (business function). Each server is described by one role. Each role is formed of at least one profile - usually more. Profiles can be reused multiple times in different roles. This is just a brain dump for me as I seem to very occassionally have to work on Arista switches - which by the way are pretty nice - mini version of linux on them. Why do I like Arista - Andy Bechtolsheim (one of the founders of Sun Microsystems who I used to work for) - nice to have a mad scientist doing well ;-) - also good for Cisco to have some competition - monopolies are never a good thing. Also provided first (that I'm aware) of ULL switches. Other reasons I like it - it has linux (and so bash), sysdb - database on the switch that holds important data - used similarly to IPC, MLAG - allows port channels to exist on multiple switches at the same time, VARP - allows multiple switches to respond to arp requests for same IP, ZTP (zero touch provisioning) - loads config from network, LANZ - latency analyser, email, job scheduler (is this just cron? ), tcpdump, event handlers, event monitors. Enter TEXT message. Type 'EOF' on its own line to end. Also worked with implementing rancid - also pretty cool - dumps configs, saves to change control - and alerts me on any diffs. So recently I received an email from google inviting me to use gcm free for a year - also came with $300 to pay towards chargeable services - very nice. Previously I've used aws - pretty familiar - also its almost becoming the de-facto standard in most companies I've contracted for - I think competition is good - so having an alternative should be welcomed. so - google has multiple data centres worldwide - similarly to amazon it has 3-4 in each region. when creating a machine you choose a region and a zone. equivalent of lamda is cloud functions - serverless/ephemeral function that responds to events - not worked on this but sounds very interesting - replacement for stuff like jenkins/ci? So recently I installed Linux Mint/sarah - I installed this under vmware. All latest vmware tools installed - however trying to change screen resolution didn't give me the option corresponding to the actual resolution of my screens (1920x1080). stuart@stuart-virtual-machine ~ $ xrandr --addmode Virtual1 "1920x1080_60.00"
yay - we have an rpm in 2 secs of easyness! x86_64 was chosen for architecture - but could choose this as anything..
overall - very nice, wish I'd had it when first tediously creating rpms! so approximately 40% degradation here in performance - something you wouldnt want in prod. How does a program interact with my computer? so when a program runs in user mode it doesnt have direct access to the hardware (unless its something cool like solaflare network card or mellanox..). For the program to get access to the hardware it needs to use a system call..(have a look at man 2 syscalls) - systems calls are essentially how a user program enters the kernel to perform a privileged task. yay - we can see the files it opens!! What on earth is devops? Devops is a pretty contentious word - lots of old school people say its nothing new and its just a label for automating everything - which people have tried (and are still trying!) to do. I've been guilty of all three of the above misdemeanours. In traditional functionally separated organizations there is rarely cross-departmental integration of these functions with IT operations. devops promotes a set of processes and methods for thinking about communication and collaboration between development, QA, and IT operations. So - what this is saying is essentially devops is about bringing systems admin/engineers and developers and testers closer together - rather than in silos. Hence why having a devops team is something I consider not a brilliant idea- we shouldnt be creating an extra silo - we should be bringing teams closer. Technology isn't so important here - the main thing is culture/behaviour - we also need to think more in terms of the overall toolchain rather than in terms of a devops tool, such as puppet/ansible..
monitor - is it all working! so essentially a large and complex set of practises and tools to bring code quicker and more reliably to the customer.